As per the research done by India Against Cancer, in India more than 2 million people are living with cancer and a majority of them do not have access to quality diagnosis and care. To bridge the accessibility gap, Narayana Multispecialty Hospital, Whitefield has launched a dedicated oncology department in its campus. The department was inaugurated in the presence of Shri. 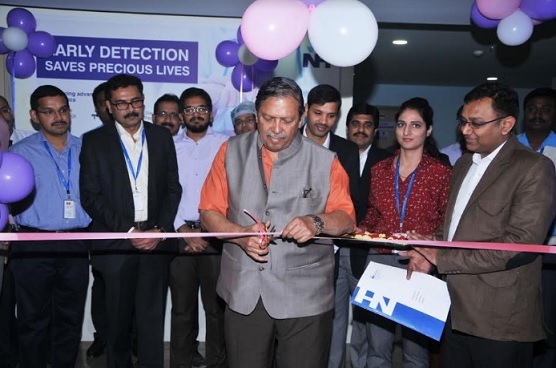 N Santosh Hegde, Former Supreme Court Judge and Lokayukta of State of Karnataka, and Dr. Sharat Damodar, Clinical Director – Mazumdar Shaw Medical Center and Sr. Consultant Hematologist & Head – Bone Marrow Transplant Unit, Narayana Health City. “The department is also equipped with a tumor board wherein doctors of different specialties come together and identify the best possible treatment plan for each individual patient. The facility helps to provide patients with holistic care as well as better treatment outcome,” added Dr. Sharat. The number of cancer cases in India is increasing every year. According to WHO’s Cancer Report, in India while lung, oral, lip, throat and neck cancers are the most common among men, women suffer more from cervix, breast and ovarian cancers. In the elderly, the most commonly occurring cancers are kidney, intestine and prostate cancer. Equipped with world class infrastructure and a multi-disciplinary team, Narayana Multispeciality Hospital, Whitefield has the capability to treat any kind of emergencies like cardiac, neuro or any other speciality. Narayana Multispeciality Hospital, Whitefield has expertise in handling medical emergencies with specialist doctors and staff empanelled, who are available 24X7 and throughout the year. The hospital also has a fully equipped ICU and ER, making it one of the preferred territory care hospital in the area. Narayana Health serves the people of Bangalore through its chain of 7 network hospitals in the city located at Bommasandra, HSR Layout, Whitefield, Indiranagar, Nrupthunga Road and Mattikere.